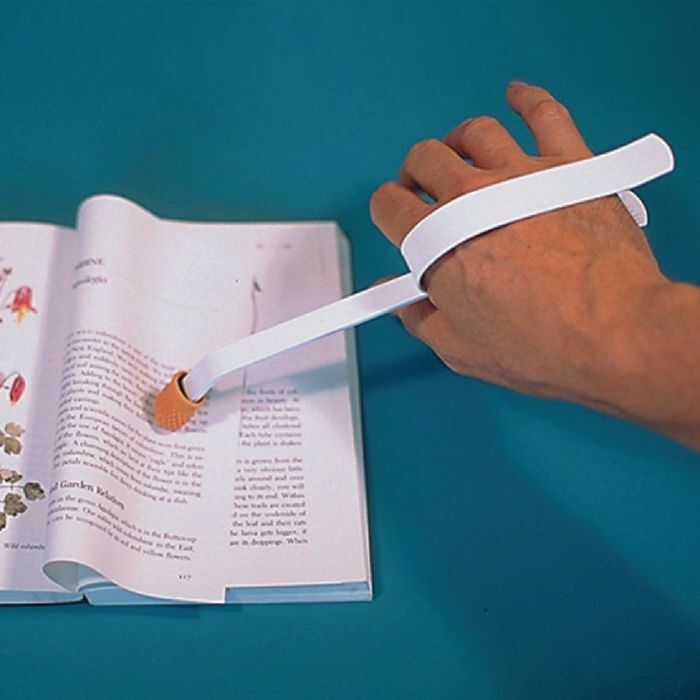 The No Grip Page Turning Aid is a hand clip manual page turner that is lightweight and easy to use. 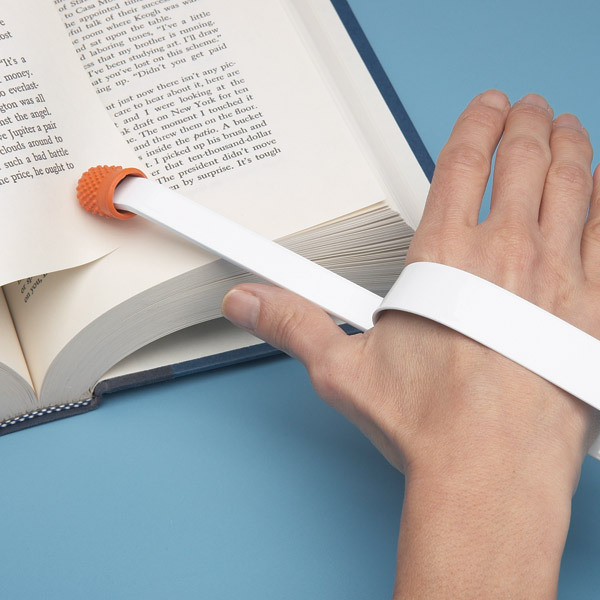 Caregivers will find this device does not require gripping for turning pages. 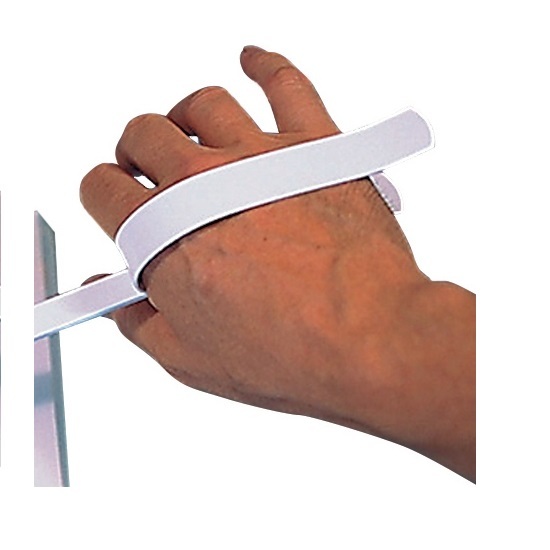 Users with weak grip will find this tool is even effective in flipping heavy coated paper. 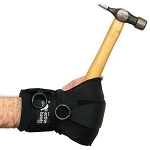 The No Grip Page Turning Aid has an aluminum clip that fits comfortably around the hand, and can be used on either the right or left hand. The long curved light aluminum bar has a rubber tip at the end to easily flip pages. 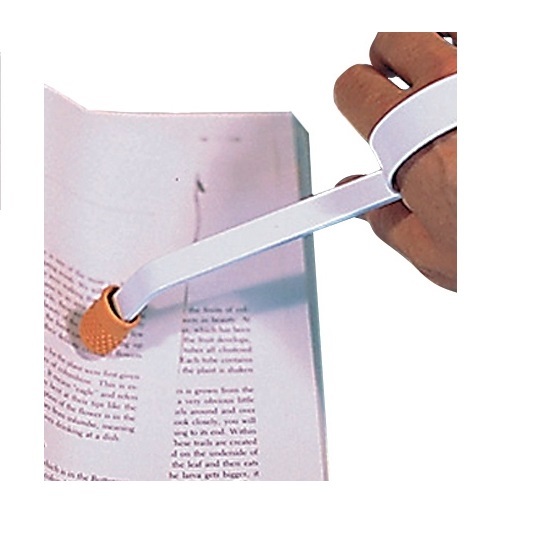 For those with limited hand function or weak grip, gripping and turning thin pages can be difficult. The Quad Hand Clip Page Turner features a bright orange rubber tip that pushes pages to easily turn them. I can finally turn pages again without having to worry if my tremor will crumple or rip them.